​On 23 January 2018 I was interviewed by the "Newsday" Programme of the BBC World Service about the implications of a new UN Report on the effectiveness of United Nations Peacekeeping and the use of force. You can listen to the interview again HERE or by Clicking on the Audio File Below. On 21st November 2017, I had the honour to address the 28 Ambassadors of the Political and Security Committee of the European Union during a lunch-time discussion on the role of the EU's policy of 'Effective Multilateralism'. Organised by the Austrian EU Presidency Team (in preparation for 2018) I was asked to reflect on the successes and challenges of the European Union's relationship with major international organisations in the field of global security governance. On 12 January, I had the pleasure of participating in a workshop on “Global Economic Governance: Which Role for the EU?”. Organised by the European Parliament Research Service at the EP, the workshop explored the growing challenges of a changing global economic climate for citizens, the European Union and global governance mechanisms. Drawing on my co-authored European Parliament Study on EU-IMF relations my remarks focused on the problematic EU-IMF approach to the Eurozone crisis and austerity measures towards Greece and called for more transparency in international decision-making. International Organisations are not only the bedrock of global macro-processes, but need to to demonstrate their benefits to ordinary citizens. I was joined by co-panelists Sylvie GOULARD (Member of the Committee on Economic and Monetary Affairs, European Parliament), Elena FLORES (Director for International economic and financial relations and global governance, DG ECFIN, European Commission) and Professor Bernard HOEKMAN, (European University Institute (EUI), Robert Schuman Chair) and moderator Dirk VERBEKEN, (Policy Department for Economic, Scientific and Quality of Life Policies, EP). CLICK HERE to watch a video of the events and my remarks. 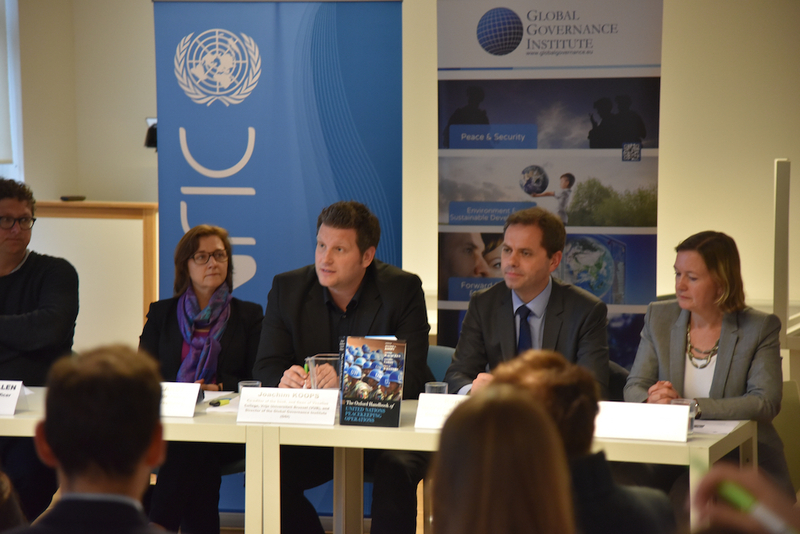 On 13 June 2016, the Global Governance Institute (GGI), in cooperation with the Royal Military Academy and the Institute for Economics and Peace will organize the Brussels launch of the Global Peace Index 2016. The debate will be moderated by Joachim Koops (Vesalius College / GGI) and will feature IEP Director Steve Killelea's presentation of the key results of the Index. 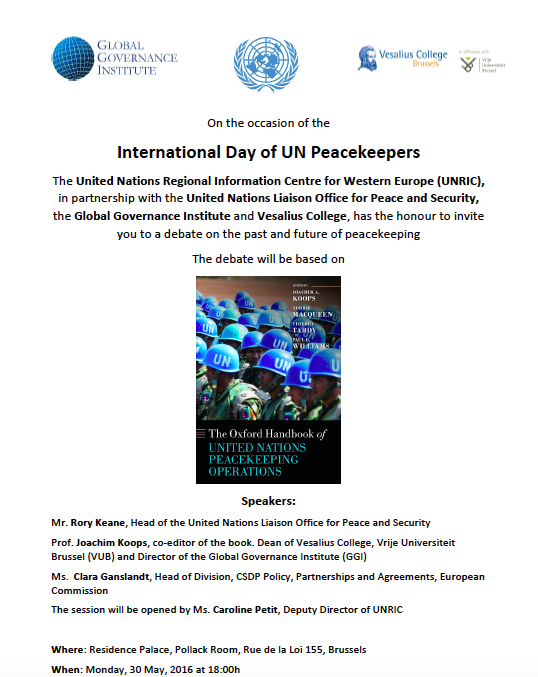 On the occasion of International Day of Peacekeepers on 6th June 2016, I had the pleasure and honour to co-organize with the United Nations Regional Information Centre, the UN Liaison Office for Peace and Security (UNLOPS) and the European External Action Service a debate on the Past, present and future of UN Peacekeeping. 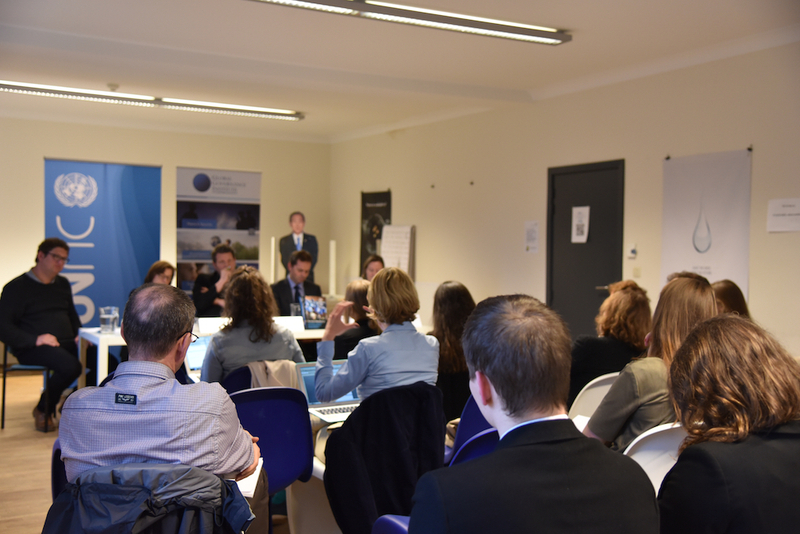 The debate was based on the findings of our Oxford Handbook of UN Peacekeeping Operations and drew an active crowd of diplomats, policy-makers, academics, students and the general public.